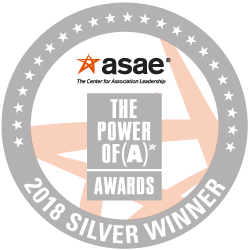 ASAE is proud to recognize the following 2018 Power of A Silver Award winners for their efforts to solve problems that impact society on a daily basis. Every week, 1.4 million people move into cities across the globe. Global urbanization has produced a serious need for effective systems approaches to infrastructure, housing, and community building. In response, the AIA created an international design assistance program to expand the use of participatory city-building techniques to regions around the world. The initiative has trained peer professionals and partner organizations in the architectural world, designed resources, and conducted joint projects with partners in a host of international jurisdictions to help their cities meet critical challenges around urban design and city-building. As a result of international design assistance training and project work, adapted versions of this process are now widely practiced internationally. In 2011, the Bill & Melinda Gates Foundation launched the “Reinvent the Toilet Challenge” to jumpstart the innovation of toilets that operate off the grid in terms of water supply and electricity, cost less than US $.05 cents per user per day, and treat the human waste onsite. ANSI partnered with the B&MGF to lead an initiative to develop an international standard on next generation household toilets. This standardization initiative is important because, in order for these toilets to be widely manufactured, marketed, and deployed worldwide, a global standard is needed to establish the commonly accepted criteria by which to measure their safety and performance. As the U.S. member body to the International Organization for Standardization, ANSI was well positioned to lead this important international effort. Following Hurricane Irma, hundreds of Florida’s lowest-income senior citizens were isolated in their apartments without power, food, water, or supplies. Because they don’t live in nursing homes or assisted living facilities, there was no government agency checking on their welfare or ensuring that they could survive several days without power or basic necessities. LeadingAge Florida, an association of assisted living, nursing home, and retirement community providers, organized a volunteer group of members to devise ways to get supplies to these seniors who were stranded by the storm. In one case, an association member redirected a shipment of food and water – which was bound for their own retirement community and intended for their own residents, who were themselves returning from having been evacuated – to instead be delivered to two high-rise apartment buildings housing nearly 500 low-income seniors whom they did not know and who had no access to supplies at all. The NACS reFresh initiative provides resources to retailers and suppliers to enable them to enhance their operations and create partnerships with like-minded community- and nutrition-focused groups. By focusing on community engagement and increasing the sale of healthy options, NACS cultivates meaningful relationships with key opinion-leaders in the media, government and other areas who can help better the industry. The reFresh initiative was developed to increase strengths around what retailers already do that is positive and to develop programs and shine light on other programs that are not as well known. While The Honor Society of Phi Kappa Phi has pursued its mission of recognizing and promoting academic excellence since its founding in 1897, until recently it had not played a significant role in the national conversation on higher education. Phi Kappa Phi sought to change that by doing what it does best – recognizing and promoting excellence. Phi Kappa Phi established its Excellence in Innovation Award to recognize colleges and universities for their achievements in finding powerful answers to important local, regional, national, or global challenges, as well as to raise awareness of the importance of encouraging innovation in higher education. Andrew Vernooy, the Dean of the Texas Tech College of Architecture and a member of the Texas Society of Architects, recognized that the future of architectural education lay in expanding opportunities to underserved communities, particularly at the community college level. Working with Texas Tech and its satellite campus in El Paso, Vernooy and the society created a committee and began to work with El Paso Community College. While they already had an architectural education program in place, they decided to connect it with the Texas Tech El Paso architecture curriculum, creating articulation agreements to help students transfer with the correct architecture credits. From there, the program expanded to other community colleges and universities across the state. There is now a defined path for students wishing to study architecture at a community college before transferring into degree programs at the state’s universities. Easing the pathway of transfer from the community college to Texas universities has opened up opportunities for more students to have access to architectural education. Thank you to all who entered the Power of A Awards, and congratulations to all the winners. Nominations will open in January for 2019 recognition.